GOLDY COLOR ALE, NICE BODY WITH RIPE FRUIT NOTES WELL BALANCED WITH A FRESH NOTES OF HOPS. 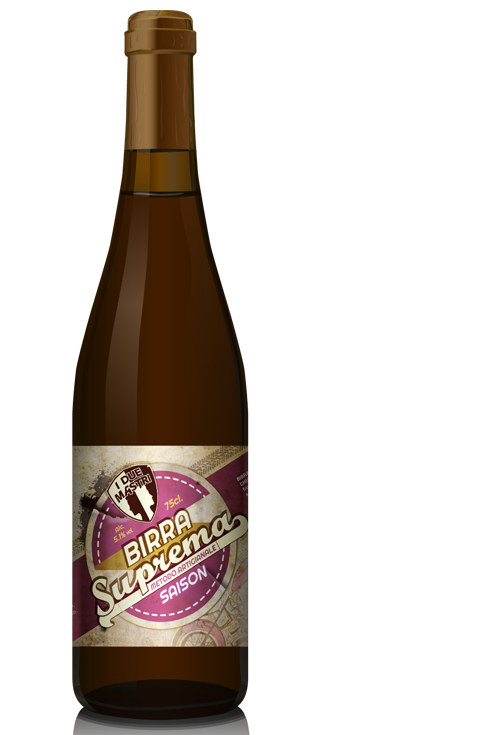 Birra Suprema® it’s a production line dedicated to whom that feel as a free spirit, inspirated to the enjoy of life, freedom and to the free expression of themselves. A motorbike is the logo designed on each label, icon of freedom and the traveling desire.